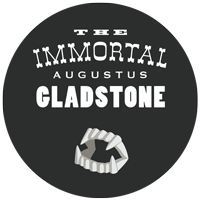 The 19 pieces above are chosen from the The Immortal Augustus Gladstone soundtrack. Listen and enjoy! Tell me what you think! You can download the soundtrack here for any price you can afford to pay (from $0 – $1000)! I’d love as many people as possible to hear and enjoy it so please help by spreading the word! Please don’t feel bad for downloading it for free! Anyone who wants to listen to my music is a friend of mine! But if you can afford to contribute, and help me to make more films and music in the future… you rock! NOTE: Soundtrack includes 24 Mp3 files (48khz 320kbps), one readme, and one jpeg file. Files can be dragged directly into iTunes or any music application.